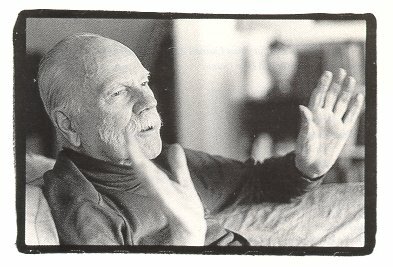 Otto Luening Interview with Bruce Duffie . 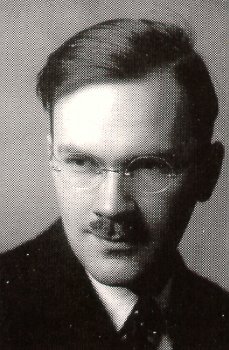 . . . .
Otto Luening was a composer, flutist, conductor, teacher, and experimenter, who, along the way, managed to gain a large understanding of his field and wide-spread fame among those whose interests coincided with his. Everyone has a family history and one’s lineage is going to be of greater or lesser interest to immediate friends and close relatives. Sometimes, when a person gains a bit of larger fame, that interest in branches of the family tree becomes more telling. His ancestry is traceable back to Manfried von Lüninck who flourished in 1350. One of Otto’s maternal ancestors was said to be a descendant of Martin Luther’s sister. A couple of later family members came to America, and Otto’s father was a musician who trained in Leipzig and sang in performances of the Beethoven Ninth Symphony conducted by Wagner. Young Otto, who was born in Milwaukee in 1900, played flute in an orchestra in Zurich under several well-known conductors and composers, including Richard Strauss. He took private lessons with Ferruccio Busoni and others, and even acted in James Joyce’s theater group. Back in the U.S., he continued his playing and studying, earning a reputation and being rewarded for his efforts. 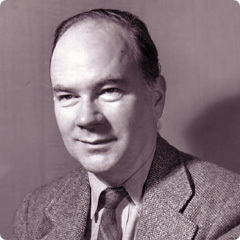 Among other things, he helped found (with Aaron Copland) the American Composers Alliance, and (with Douglas Moore) the recording label Composers Recordings Incorporated, known as CRI. More details are included in the tribute which is reproduced at the end of this interview. Needless to say, when I encountered recordings of this man, I added him to my list and was able to secure an interview. Portions were aired on WNIB, Classical 97 in Chicago on several occasions, and I am now pleased to be able to present the entire conversation on this webpage. Names which are links refer to my Interviews elsewhere on my website. When we arranged to chat on the telephone, he was already more than a month past his 85th birthday. Even so, he was quick and alert and in very good humor right from the start . . . . .
BD: This is Bruce Duffie in Chicago. How are you? OL: I’m all right. How is the line? BD: It sounds pretty good, actually. OL: All right, that’s good. Sounds all right here, too. BD: Nice and quiet — much quieter than usual. BD: [Laughs] That’s very nice of you! Let me start out by asking a bit about your opera Evangeline. You conducted the world premiere? BD: Is the composer the ideal conductor of his own works? OL: Well, I’m a pretty good conductor, you know. I did a lot of operas including the premieres of Menotti’s Medium and Virgil Thomson’s Mother of us All. Under the circumstances, I felt that I probably did many things better than the other guy would have done. On the other hand, it was a fatiguing experience, because I had to see that it went on as a premiere. I had to oversee everything, and so on and so forth. I think your question is good, and difficult to answer. It depends. I think Richard Strauss, for instance, was very good in conducting his own things. Other composers that I’ve worked with included Ermanno Wolf-Ferrari. I played his Le Donne Curiose under his direction, and he wasn’t so good. So I think it’s an open question. It depends on the guy; it depends on the person. BD: So a composer has to have some experience conducting works by others? OL: I think he’s got to have experience in conducting, I really do. That, I would say, is a requisite. BD: Should all composers have some experience conducting? OL: It doesn’t do any harm at all. [Both laugh] I think it’s a good thing to have. You get to know the realities of orchestras and of audiences, and of unions, and everything else. I’m a great believer in working up from the ditch to be president. Don’t start being president and wind up digging a ditch. BD: You bring up the subject of unions. How much should the composer or the performer get involved in the business of music? OL: That’s a good question, too. I would say that has shifted since automation came in, since we’ve had this explosion in recordings and television and broadcasting. Years ago it wasn’t so important; you could kind of go along and do your business in a quiet way. Now we have the business of music that’s everything; every activity that earns money from music, and that is, according to my accounts — and I’ve written two articles about it — a minimum of thirty billion dollars annually. This is all kinds of music. If you get involved in it as a musician, you’ve got to make up your mind: are you in it because you want to be a businessman through music, which is one way, or, if you are an elite musician, or a concert musician, is it absolutely necessary for you to know something about this? You’re dealing with publishers, you’re dealing with copyrights, you’re dealing with commissions, you’re dealing with unions and everything else. I would say that the young composer does have to know something about the world in which music functions nowadays, in 1985. BD: Should there be courses in all this, at least the graduate level? OL: I would say so. In fact, you’re bringing up a good subtopic here for discussion. I’ve often felt that the function of music in the world of today is something that I’d like to talk about. BD: All right, let’s pursue it now. What is, and then what should be, the function of music in 1985? OL: I think what’s happened to us is a great explosion of talent in this country. That’s one thing. I have reached the ripe old age of eighty-five last month, and I had seventy years as a pro. Now what does that mean? It means, in a sense, that you really should look back over those seventy years and recount to the younger generation just what’s happened. But bearing in mind not that it was great then and much better now, but to look it over and see what really did happen. When I do that, I think of Chicago in the twenties when I started my career after five years in Europe. There were, I would say, two kinds of musicians — the symphony players and the opera players, and then the rest of us who played in movie houses; the young kids who couldn’t get in those organizations. We taught and we played in the clubs and whatever came along, and most did not know much about contemporary music — but neither did the symphony players, for that matter. They did in the Chicago Symphony when they worked with Frederick Stock. They were terrific, but they didn’t care too much for the small group stuff. There was just a handful of people playing and writing the contemporary music. One other thing... there were at that time, I believe, twenty orchestras that could be called professional symphony orchestras, and of course some community and some student groups, but not many. Now there are seven hundred and fifty orchestras in the Musical America annual count. But that’s low. I think it’s higher than that. I think it’s more like eight hundred and fifty. Peter Kermani, President of the Symphony League, told me. And remember to count the student orchestras — they’re just as good as the professionals now, in many ways. BD: Is that really too many orchestras? OL: Well, I don’t know. Let me continue along those lines, because it’s staggering figures, you see. It certainly runs into maybe eight hundred and fifty orchestras. They’re all community orchestras and student orchestras, and all. That’s the orchestra side. In 1930, Claire Reis published her book American Composers, and I believe she had fifty names of what she called real composers — that’s concert composers, not including pop. Fifty. Add to that another hundred and fifty who wrote short pieces, and you had, in the 1930s, two hundred composers. The most recent count has now mushroomed, because our educational system has been pretty good, and we now have a minimum of fifteen thousand composers of concert music. Gunther Schuller estimated it was thirty thousand people who are literate and write orchestra scores. So there’s the question that you brought up, is this too many? Aren’t there too many composers? That depends on whether our society knows how to absorb them. If you’re going to pile them all into Chicago and New York, it’s certainly too many. But if the regions and the states take a bit of local pride and take care of their talent and pay for it, it’s not too many. It just means there’s just a strange democratic outburst of talent, of which we can be very proud. I think the quality is enormously high since the twenties, and the mass is enormous and surprising. That’s a very fast development, but I don’t know whether our audiences can handle it yet. BD: Is the whole business of recordings helping or hindering this? OL: Oh it’s helped a great deal. Around the mid-forties it opened up music to the mass market poco a poco. Little by little it moved into a mass market, and it was also helped by broadcasting. One time when I had something played, a student said, “Mr. Luening, don’t you feel isolated with your music, that it isn’t heard by enough people?” I answered him by saying, “You know, my music has been broadcast over the Voice of America; it was heard by seventy-five million people.” That’s different than it was in Mozart’s time, when the music got heard by a few hundred, or a few thousand. I don’t know what it proves, excepting that society has changed, and we have this mass thing. How we control it is a very good question. One of the things that is happening in all of the state universities and local societies is an awakening in this country of regional pride. I’m not sure that you’re going to find The Folk Songs of Chicago or anything like that, but Chicago has its own set of musicians and its great orchestra. That’s one thing, so that’s an area. Maybe it includes other parts of Illinois, but maybe southern Illinois should have its own section, because there are probably people down there writing and playing things that are very good. It’s the same thing with Milwaukee and with Minneapolis. With smaller towns — like Wichita, like Grand Rapids — all of those should accept music as an integral part of the cultural scene. It’s been in every civilization in the world one way or another, and it’s probably an integral part of life, without which we would not be very happy or very healthy. BD: Now you’re talking, of course, about serious music. What about the huge explosion in rock? OL: I’m not talking only about serious music. We should have multiple frames of reference. I have no objection to rock at all. That’s a certain kind of thing. There’s always been popular music; they used to call it a waltz and polkas, but now it’s called rock. OL: Rock and funk? Well, if it doesn’t make you deaf! If it is deafening people, which some rock does because it’s too loud, then it’s health-threatening. But that’s a matter for the medical profession to decide. If it’s music that can be heard, I’ve found some of it is quite exciting and quite good, but certainly not all of it. On the other hand, there’s a lot of music in the popular field that I think is quite attractive and has its due place. That’s part of the business of music; they sell that stuff, and sell it well. The business of music is very well taken care of by an elaborate public relations and sales set-up that takes care of promoting it by expending a lot of money, because there are good spoils to be had from it. Hollywood pays and radio advertising pays and also some other things pay. Records pay if there’s enough circulation, so that’s taken care of very carefully by the P.R. and business people in the business of music. BD: How much can the composer or the performer expect from the public? OL: That’s another aspect of music. What you can expect is to have your music somehow looked at, examined, and that is a difficult task these days because there’s so much of it. The conductors are more isolated today. I used to have easy access to Frederick Stock in Chicago, and ensembles that played a few of my pieces, as well as other symphony orchestras here in the East, like Stokowski. I was actually once conductor of the Philharmonic Symphony Chamber Orchestra for two seasons. Koussevitsky and Mitropoulos were very open-minded, but you could get to them easily to show them your pieces. Now for a long time that’s not been the case. It’s been extremely difficult to get your music in front of these seven hundred or eight hundred and fifty orchestras that we mentioned before. These men are busy! They’re busy guest conducting, running from one town to the other making careers for themselves. BD: Is it partly the over-proliferation? Are there are too many composers trying to get too many pieces in front of too few conductors? OL: I don’t think that’s exactly the case. I think that what’s happened is that the conductors of the symphony orchestras find that they can deal in antiques more readily and less expensively than they can in contemporary music. [Both laugh] After all, we have an enormous, fine repertory of inherited music and they don’t have to learn that. It’s not a question of learning new music; they can take it and play it. And the audience, too, is getting acquainted with music. In the record field, there’s been not so much classical music, but much more classical music than contemporary music. So the audience is conditioned to listen to classical and romantic music. Then when the new audience comes in, the granddaughter or grandson of the old subscriber want to hear what Grandma liked. She liked Beethoven and Brahms, and so we want to hear that, too. We don’t want to hear Joe Zokes who is just coming into this business, but that’s changing, you know. BD: Is that conditioning, or is that demand from the audience? Or is that a vicious circle? OL: These things go in different ways. One of the things that happens, that I’ve noticed for sure, is that if you hear things over and over again, it’s like in agriculture; you get soil erosion. In music or other cultural things, repetition causes cultural erosion. You have to have forces of renewal, and history bears me out on that. At some point there always has to be the injection of a new experience to keep the thing rolling. Hollywood knows that, because they’ll watch with great interest, and at a certain point they filter in and filter out what they can use in the way of new rhythms and new sounds and new timbres, and they use it and sell it. It’s perfectly okay. But what is needed is the acceptance of research and development in music. Research and development — we understand what that means in industry and in the stock market. Venture capital — we understand what that means. Exploration — we understand what that means in the oil field. Well, it exists in music, too, and you need that. You need explorers, you need experimenters to find the pay dirt. We have little feeling that we can buy it and conserve it and keep it. We have that feeling from time to time, but it never lasts; it changes. I think we’re now on the move. The symphonic repertory is going to pick up because they’ve got these young composers-in-residence now with several of the big orchestras. BD: Right. We also have a composer-in-residence now for Lyric Opera. His name is William Neil and he is in the process of writing his own opera these days. OL: I don’t know him, but that’s excellent, because I can send the score of my opera Evangeline to him! I have to compete with him of course, but that’s okay. Still, he’d probably look at the piece. BD: We had a performance here a couple of weeks ago of part of his opera. He called it a work in progress, and it was given a performance by members of the Opera School. OL: Now that’s excellent. I like that. That’s what I did in my early career, a lot of workshops here at Columbia. We need these workshops. We need this exploration of things; we need the research and development, so that this enormous talent that we’ve got in the country among your generation — you sound like a young fellow; anybody under eighty is young to me — so that you have a chance to try out your talents. Then on the basis of trial and error, some of it will be wildly successful, have a big following with hit tunes in symphonic form. And some of it won’t. Some of it will reach a few people, but they’ll like it very much. Some of it will take a long time to reach people, but that’s not new. You know, Beethoven’s Emperor Concerto was played twice during his lifetime, both times by himself. BD: It takes a while for something to really catch on. If it’s worthy, it will catch on. BD: I read that you were called a “Janus.” Do you feel that you look both backward and forward? OL: Oh yeah, definitely, because of my whole background. I come from the Middle West, as you know, from Milwaukee, and I’ve all that Milwaukee-Chicago background — German, middle nineteenth century — where they had an enormous respect for the traditions of the past and the values and so on. On the other hand, they were very forward-looking. They wanted to come because America was the land of freedom and opportunity. They were politically radical and culturally adventuresome. When I went back to Europe I felt the same thing. I was at the Academy in Munich which has a very conservative background, but at the same time, in 1912, I read Schoenberg’s harmony book. Then I came in touch with Ferruccio Busoni and Philipp Jarnach. Both of them were the same way; they had a very strong traditional and romantic background, and demanded that of us, but at the same time they were way out, searching all the time. There was a combination of the traditional and this research and development and discovery. That was part of the way we were brought up — or the way I was brought up, anyhow. I think Varèse was, too. He was a very close friend of mine. BD: I’ve always enjoyed the music of his that I’ve heard. OL: Yeah, well he had a very conservative background, and then he went his own way. He moved off into his own fields. BD: Thirty years ago, electronics were the outer reaches of music. What are the outer reaches of music now? OL: You have a strange situation that has come about now. It’s a good question because in the first place, you may get used to having computer music. It’s being perfected more and more, and some of it’s good stuff. Things of Karl Korte or Charles Dodge or Charlie Wuorinen are very good. There are not many people that can handle it. It’s a difficult medium, but that’s all right. That’s here to stay. The next thing that’s here is the invention of a lot of electric-playing instruments — synthesizers of various kinds, and all sorts of stuff. A lot of it will be junk, but much of it, I think, will stay, just as the piano stayed after the harpsichord and the clavichord. It’s a new instrumental thing that’s going to open up, with electricity involved. That’s one thing that we’ve got to accept as something that goes on. If people feel that’s a threat, then they should stick to their singing, which is the best counterbalance. If you get back to singing songs, which they do in country music and in pop music — back to songs, back to choral singing, back to using the voice, back to poetry — that’s the other side of the whole development of electronics. We’re in a funny phase, really, where the musician and the music lover and the conductor and the unions and all of us who are in there have got to get together and analyze how this whole business can be integrated into our society. That may mean that we’ve got to talk with politicians to develop a new plan of patronage, which is happening slowly. It’s happening a little bit with some state support and government support, but it’s also happening in industrial support, with IBM and General Electric and all of them. They’re beginning to pick it up. In a democratic society we’re beginning to see that the people in the industries of business have to function the way the courts and the church used to function. In other words, we’ve produced it, so come on, let’s use it. People talk about defense. Well, what are we defending? You defend the cultural things that you’ve produced. And this great burgeoning has happened in painting, too, and to some extent in literature, although we were pretty good at that. It’s been a great burgeoning here of cultural values that we’re a little hesitant in accepting. We’re always a little afraid it might be elitist. Some of it is and some of it isn’t. I think we should have multiple frames of reference so that a man or woman can be elitist if that’s the way he or she is. BD: Is there a problem or a danger of becoming too elitist? OL: I don’t think there’s any danger of it because the pressures are so heavy from the mass market. The worst thing that can happen if you become too elitist is that society will put you aside as a freak. [Both laugh] And you’re still acceptable as a freak if you get in the papers once in a while. But if you’re just a freak and you can’t make it to the paper once in a while or have some public performance — even over the radio — then you’re a freak! But it’s a free country and if you want to be a freak, why not? You’re not hurting anybody. BD: I get the feeling, though, that freaks don’t feel that they are freaks. OL: That, I think, is good for them. I would feel sorry for a lot of them if they would be able to size themselves up exactly as they are seen by everybody else. I wouldn’t even want that in my own case. I would say, “My God, I do my thing as best I can, and what I come up with might seem, to somebody else, to be a freak.” I wouldn’t want to take their judgment of me. I can’t be what somebody else wants me to be; I can only be what I am. BD: Is the judgment of the public always right? OL: The judgment of the public is very strange, and it’s not always right, no. The majority rule is not always right, and particularly not on a short-term basis. I know some of my musicology friends do that, but if you look carefully into the past of music, then you find many masterpieces that nobody knows anything about. I happen to have one composer who I think is one of the greatest composers in the world, Heinrich Schütz. He had his anniversary this year. He’s not a popular figure. He was in his time, in the church and then in his circle, but what can you do about that? Not much. Taste changes; things go. You take pot luck. I found that out in my own lifetime, having had this long career. A lot of my works have stood the passage of time, so I figure I must have been a pretty good craftsman when I was a kid. BD: In cases like Schütz, is that really the judgment of the public, or just the changing of the public taste and fashion? OL: It’s hard to say. Certainly it changes. Often these changes are circular, and I wouldn’t be surprised if at some point Schütz would be discovered again. It was a scene dominated by the church and the principalities, the dukes and so on. Now we don’t have that kind of a scene. It may be that at some point there’ll be a Schütz Society, and he’ll come out as a collectors’ item. BD: So he was famous and then faded. Should the public today be able to grasp new music at the first hearing? OL: It depends on the music. They can always get an impression on the first hearing, but even a well-trained professional can’t get the details of it in some instances. You respond to the gestalt or shape of the music. You get the general impression that comes through first, no matter what the technical shape or technical process behind it. From that point on, to get the finesse of the pieces, the details, it takes further study. That study can be aural, by repeated hearings. Music doesn’t give up its secrets very easily. If it did, we wouldn’t be able to hear Beethoven symphonies over and over again, or Bach works. They are palatable because they do always offer some new possibilities for us, some new experience. And that’s good. That’s the mysterious long term process of music. Of course it takes a while to get used to music, particularly new music, just as it takes a while to get used to new people in the neighborhood. You’ve got to size them up, see whether you like them or whether they fit in, and if they don’t fit in, are they okay anyhow? That takes a bit of time. People today are too impatient about things and that is very dangerous with this business of music. As an example, the expenses of putting a new show on Broadway are now so colossal that they almost don’t do it, except if it’s a revival of some hit from yesteryear. Then they can do it, because it’s such a big investment. BD: So we’re letting the business interfere with musical decisions? OL: That’s right. What happens, though, is that the musical decisions still go on, but in a much smaller way. All over the country we’ve got small groups playing off-Broadway, or away from the big symphonic line; extremely talented young players — and not always young — university composers, for instance, in small towns and big towns in front of rather small audiences. People always say, “You’re not reaching an audience!” But if you have an audience of fifty and you’ve got some young guy there who’s a good technician and makes a tape or a cassette of what’s going on, and that cassette is aired over the Public Broadcasting station — which has a listenership of ten thousand people, or even only two thousand — you’re reaching more people than Mozart reached with some of his first performances. That’s where this whole broadcasting business is an extremely interesting thing! I think it’s done, in many instances, a damn good job to carry this thing, to keep it balanced. The programs on the PBS stations have always been very generous to me; I’ve never had any trouble. They represent my thoughts well and my music well. And it pays off. Gradually people get to know what you’re trying to say, and some people like it. Not everybody likes everything, but some people like some things. BD: In a case like our station [WNIB, Classical 97 in Chicago], we have eighteen hours a day of serious music. We can afford to take risks for twenty minutes or even an hour and a half, here and there, whereas a symphony concert might risk a whole program. OL: That’s the point, you see. That’s where you’re terribly important, because you then fit definitely into my line of research and development and exploration. And the kind of audience that listens, they’re also taking a chance. They themselves are exploring when they listen to one of your programs. They don’t know all about it, but they’re listening and they’re exploring. Sometimes they find pay dirt, sometimes they don’t, but it makes the person who’s listening also grow and develop. BD: I get calls all the time, and it’s very gratifying. I’ll play some strange piece, a new piece or even an old piece, and I’ll get a half a dozen calls asking the name of the piece or the record number so they can buy it. OL: That’s the point, you see, and that’s where you play a very strong part. In the middle of mass production, one shouldn’t think that mass production is going to do the whole job. We need one-to-one contacts, and those contacts have to be between the older generation and the younger generation, between program directors and composers and performers, between business people and artists and promoters. It’s what the jazz and pop culture calls crossover, and I get involved in that. I get a lot of pop people who come up to see me and they talk about the future of music. We talk. They say, “Well, here I am. Where do I go from here? What do you think?” And I say, “I don’t know for sure, but let’s talk about it.” I get ideas from them and they get ideas from me. That’s what’s necessary, that whole thing. In the last paragraph of my book [The Odyssey of an American Composer], I mentioned that it’s necessary to have this different kind of communication. In the old days we could talk only to artists or only to conductors or only to the manager or only to the patron. Now it’s gotten much broader and necessary to do it on this other scale. BD: Let us move the conversation over to opera for a little while. You were working with an American opera group to produce American works, and do European operas in English? BD: Let me first ask about doing standard works in translation. We now have the running translation on the television. [Note: This interview took place just as supertitles were beginning to be used in theaters.] Is that an ideal compromise? OL: I don’t care too much for it myself. It bothers me. I would much rather have a narrator take the place of recitatives or even give it a little introduction; like a living program note. I’d rather have that than the thing always showing on the screen. But that’s personal taste. I think the translations are to be desired because I listened to most of my early operas when I was in Germany, and they were all in German. The French works were in German, the Russian works were in German, and the Italian works were in German. But it depends so on the translation! It’s got to be a first-class translation. I think the Auden translation of Magic Flute is very good. BD: So you think, then, that a company that does all the operas in English is a good idea? OL: I think so. I worked very hard on that in the old days, when I went to Eastman. We actually organized The American Opera Company. Eugene Goosens was the conductor and Vladimir Rosing and Rouben Mamoulian were the directors. I was a conductor and coach. We played all around, including in Chicago. This was before the depression. We even played one piece by a local composer. His name was Clarence Loomis and he taught piano in Chicago. We played a work of his called Yolanda of Cyprus, which was given twenty-two performances. That was the end of that because the depression knocked the company out and we had to start all over again. It was a very good company and we did everything in English. BD: Is that an idea whose time should come back now? OL: I think so. We’re on the way toward it because we’ve got a lot of opera workshops that are doing these things in scenes, and I think it’s ready now to take off. I had a funny experience with my own opera Evangeline. I did it and I got a very good review from Virgil Thomson and some others back in the forties. Then it goes along and it was done on the radio a little bit, and another production here and there, and then it goes to sleep. This was a long time ago. Then all of a sudden I had a piece played here in New York, my Fantasia for Orchestra. Slatkin conducted the American Composer’s Orchestra and I get a review in the New Yorker from Andrew Porter, who was interested in opera. He writes that I’m a pretty good composer. He was very nice about the whole thing, and then he says, “Isn’t it time to revive Luening’s opera, Evangeline? Virgil Thomson thinks very highly of it.” Well, that was enough of a plug to get people to look at the score. It’s published by Peters, and by Jove, the After Dinner Opera Company gave concert performances of it! They did one in Lincoln Center and one in Queensborough College. I hurt my back so I couldn’t go, but the houses were packed and it was a great public success! It got a very good review from Tim Page, who said about one of the choral scenes, “This is one of the best choral pieces ever written in this country.” He said everybody ought to be doing it. So what happened from that is I think they’re going to do another concert performance of it here next year. I just had a call from somebody. So you see, it’s funny, how this works. BD: It snowballs, and that’s good! OL: It does. And it’s one-to-one stuff, the way we’re talking, you see. It’s all strange, but it’s not just mass production. It isn’t. BD: You said one time that American operas tend to have bad libretti. Is that still true? OL: It’s improved a lot because of the workshops. In 1925, after I left Chicago, I was Executive Director of the Opera Department of the Eastman School and there weren’t any workshops. Then we had ten years at Columbia where we did a lot. Now there are workshops all over the place. And they get talking to the guy in the English Department, they get talking to the fellow in the Drama Department, and to everybody else who’s interested, and that stuff begins to shape up. That’s good mass stuff. That’s mass mixture. BD: That’s your crossover again? OL: That’s the crossover again. That is one of the things where the universities can be of such great help, because they have all the departments. They’ve got English and drama and music and physics and acoustics and the orchestra and applied music and the history of music and everything! Let them cross over and exchange information right on campus! You get a lot of stuff stirring there. BD: So then you’re optimistic about the future of opera? OL: Oh, yeah, because the advantage of hindsight is to see where it was. When you read what we had to go through to put on that Shanewis performance in Chicago in 1922, that gave us a lot of headlines about the first time in history that we had an all-American opera going, in English, with an American orchestra, etcetera, etcetera. That was a hell of a job to get done. We did two performances and then we went broke. [Both laugh] As a matter of fact, Shanewis was revived here just this year or two years ago. Here in New York, somebody did it. And the other thing is that since that time, there are these workshops all over the place, so we’ve got some awfully good singers. A lot of companies are moving, but again, a lot of it’s off-Broadway; it’s small outfits. They do one-act works and other things of that kind. But that’s all right because in the old Italian opera, a lot of those were one act-ers. BD: But they have the advantage if they audiotape it or videotape it; then it’s not going to be lost after the couple performances. OL: That’s the point because these guys can give it the test of a big audience. They can have a videotape made and try it out! That’s a way of using the modern technology to inform the mass market, the way you do on your radio programs. Walter Damrosch started that way back when in his funny little talks. Lenny Bernstein did a lot of it, and did it well, with television programs he did from NBC. But now it’s spread much more, and it’s done with much more care, I think, with the good people like yourself and Tim Page. Robert Lurtsema in Boston is another one who consistently has a line there, which is an educational process in mass market. Without getting absorbed by the mass market, you’re using the techniques of mass communication. BD: Right. But remember, WNIB is not part of PBS. We are a single-owner commercial station. OL: Who supports you? I mean, who are your advertisers? OL: Well, they should just be given a terrific salute, because this is precisely what I mean by crossover. But you’re not doing it to get a mass sale. You’re dealing with a somewhat limited audience. OL: That’s exactly what I’m talking about and this is exactly what’s needed! The next thing is I should write a flute solo for the bank president’s wife! [Both laugh] I might do that! You can never tell! But you see what I mean? This is very important, what you’re doing, because it needs this kind of support; it should be on this broad basis because business needs this cultural underpinning the maintain itself. Any of the enlightened businesses know that. It used to be enlightened businessmen. Now it’s got to be enlightened business firms, because they’ve all gotten so big. BD: Let me ask you about a couple of other of your pieces. You say your most famous piece is the Kentucky Rondo? OL: Yeah, that gets played a lot. OL: I don’t know. It’s easy to take! [Both laugh] Everybody likes it. I wrote it for my two brothers who lived in Louisville, Kentucky. I didn’t want to do anything fancy, just make a very good-sounding piece. These guys were cheerful fellows and I wanted to write a good-sounding, cheerful piece that would be somewhat reminiscent of where they live. BD: Did you know at the time that it was going to be your big hit? OL: No, I didn’t. I thought it was a good piece; I thought it would get somewhere. But Oliver Daniel, who heard it, said immediately, “You ought to take this and put it all over the place.” Then it got published, but the main thing is it was recorded by the Vienna Symphony Orchestra with Adler conducting, on CRI, and got played a lot on the radio stations. They do all the time! People hear it when they go out riding in their automobiles. BD: You’re not sick of it, are you, like Rachmaninoff was sick of his Prelude? OL: No, I think it’s a cheerful piece. Every now and then I could listen to it. BD: I just wondered if it gets to the point where you hear it too much? OL: No, I don’t feel it. With some pieces you do, but this one I think is a very cheerful piece; it’s all right. On that same record there’s another one that is interesting, the Symphonic Fantasia, my first one. I wrote that in Chicago, in 1922 or ’23, somewhere in there. 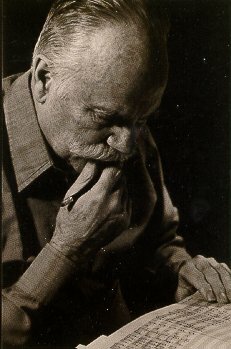 There was a famous theoretician in Chicago by the name of Bernard Ziehn, who’s since been forgotten, but he’s now being discovered again. Ziehn had a great influence on the musical life of Chicago. He was a friend of Theodore Thomas. He was a friend of Frederick Stock and had an influence on Stock. He had an influence on Wilhelm Mittelschule, the great organist. He had an influence on Ferruccio Busoni and Busoni’s whole influence. 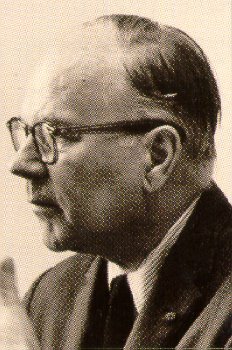 The whole Chicago group was influenced by this German theoretician. When I came to Chicago in the twenties, I went to Mittelschule. Ferruccio Busoni told me, “You ought to go and see Mittelschule. He’s a great musician.” I went to Mittelschule and I asked him if I could learn from him Ziehn’s theoretical background. I studied with him for six months. Mittelschule played my organ music brilliantly when I was just a kid, and then I wrote this piece. It was influenced very much by this theoretical background of Ziehn, but it’s cunningly concealed because it sounds good, you know. It sounds like a regular orchestra piece. It’s only eight minutes long. What happened now is that it was also recorded by the Vienna Symphony, and it got played around a bit over stations like yours. The younger generation, the present generation, have discovered that piece and all of a sudden they say, “How did you ever write that kind of piece in 1922?” And I say, “I don’t know. What is it?” “Well, it appeals to us. We like it,” and so on. These are young kids. Now it’s been analyzed very carefully by this brilliant young musicologist Severine Neff, and that’s going to be presented at the Theory Seminar in Vancouver, along with some other music of mine that I did around that time. 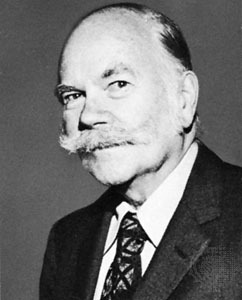 This is strange, but it has to do with Chicago and Milwaukee, and that regional thing that I’m talking about because this guy Ziehn was a great theorist who happened to land in Chicago, where he taught, among other people, John Alden Carpenter. He also was the piano teacher. He made his living teaching piano, and he taught Mrs. Rockefeller McCormick’s children and other children of the wealthy people there. A very interesting man! Forgotten, but now suddenly rediscovered by a younger generation that comes along. BD: Tell me about one other piece, the Trombone Sonata. OL: Well, that’s another thing. I taught in Vermont at Bennington College for ten years and we had summer conferences at Yaddo and at Bennington. It was also crossover idea because we decided that the performers didn’t know enough about composers and composers didn’t know enough about performers. So at Yaddo we had composers and performers get together to read new music, and they played it at a few public concerts. At Bennington, we got performers to come up, very good ones, and composers to get to know each other. The performers played the new music. That is what they were interested in, getting to see the new music. I got to know a lot of very fine performers and I wrote pieces for them. I wrote oboe music for Robert Bloom and I wrote flute things for Van Vactor and Harvey Sollberger. Then I wrote violin things for Maurice Wilk, and there was a trombone player, John Swallow, who didn’t have anything, so he asked if I would I write something and I said I’d be happy to. Why not have the contemporary version of the baroque suites where you’re not trying to prove enormous things. It’s like the baroque suites and sonatas — a slow movement, a fast movement, a dance or something. And that’s what I did, but using the instruments that didn’t have such a big repertory, like bassoon and trombone and oboe as the solo instruments. So this is one of those pieces. It has gotten discovered recently and the trombone players play it. I’ve got a couple of string quartets that are really nice. One of them I wrote in Chicago. I was there in Capone days. I used to play flute in a movie house there called the Stratford Theater. It was at Sixty-Third and Halstead Streets. That’s where you’d hear the bullets at night, too. BD: I’m glad he took a liking to you, rather than a dislike. OL: Well, they took a liking to me. They liked all the musicians, not just me. They thought we were okay. I heard a lot of the first jazz there in Chicago, at the Sunset Café. Benny Goodman was a kid. He was at the Lewis Institute. Gene Krupa was studying at one of the high schools there. I don’t think too much about my career. I think I’ve been treated fairly decently. A lot of stuff that I wrote when I was eighteen and twenty and twenty-five has now been floating to the surface. So what? It’s just a peculiar kind of a life. It’s different than it was back in the early part of the century, or in 1890. BD: I want to be sure to ask you about the use of electronic tape and the Rhapsodic Variations. OL: Oh, yes. We used the electronic tape in the Rhapsodic Variations. It was the first piece of its kind, actually, that was performed publicly. We used piano and flute as a sound source. I played the flute myself, and we used the tape part like a section of the orchestra — percussion, tape, woodwinds, brass, and so on. But we used it somewhat differently than Varèse did it in his Déserts. We blended it with the other sections. Sometimes it would play with the strings, sometimes it would be solo or do a cadenza in and out, but not like a concerto grosso. It wasn’t just the tape and then the orchestra and then the tape and then the orchestra, but it was blending it and mixing it with strings and sometimes the woodwinds. BD: So it was an integral part? OL: Yeah, an integral part, a new section of the orchestra. Incidentally, that idea has taken hold considerably in Hollywood where they mix a lot of the electronic sound with live sounds. They’ve also done it in the small chamber orchestra groupings. BD: I would think the big difficulty, especially in live performance, would be matching tempo to make sure it all comes out exactly right. OL: Well, it is. It’s the conductor. As conductor Robert Whitney told me when we did the first performance, “The thing that irritates me is that I can’t look it in the eye and make it follow me.” In other words, the conductor has to follow the composer in this case. BD: Conductors are not going to like that! OL: They don’t like that at all! [Both laugh] But the good ones can do it, and that was very interesting. That work got played a bit, but the concerted piece got played quite a lot, and they didn’t have much trouble with it. BD: You’re still writing, I hope? OL: Oh, yeah! I’ve just written two new orchestra pieces. I’ve been fairly active recently. I don’t know what’s happened to me. When you’re seventy, you’re retired, and then people say, “Well, he’s seventy. He’s entering his second childhood.” Then if you’re a good little boy, by the time you’re eighty you enter your second puberty. And then, if you’re a good boy and don’t get trapped by the difficulties of puberty, when you’re eighty-five you enter your second adolescence, and your young manhood. That’s where I am now. So I write a lot of music and I’m having a lot of fun trying to connect up all of the things that go on. As you know, there’s a lot of baloney that goes on; you have to duck your way through that. I love talking one-to-one to the people that are my new friends, and I will count you as one. BD: Oh, thank you. That’s very nice. OL: I find I have to make new friends, and many of them are young. But I also work with high school kids, because I want to know what they think. So I coach them a little. I just want to know how they think and what they like and why. They like me because I’m so old that they don’t even know that I’m a human being. They think I’m a monument, or something. BD: Maybe kids don’t like being taught by Papa, but Grandpa is different. OL: Grandpa is all right. They don’t want Papa to get involved too much because he doesn’t do it right. But it’s very interesting to see that whole thing. It’s a very difficult kind of life that we lead because it’s so complex. In many ways it’s sort of like shattered glass that we have to put together again. People are disturbed and the young are disturbed, and I can see why. It’s because in many of the things that we talked about here today apply to various fields. For instance, the use of nuclear energy is a beautiful thing, but boy, it’s got to be watched very carefully. And the people who know it are the scientists! Don’t play with it, because otherwise you’ll say goodbye to this fair veil of tears. BD: Even with something simple like fire, you must be very careful. OL: That’s the point! You’ve got to watch fire and know how to keep it from burning the house down. And this is, I think, the point that we’ve reached, and the young people are very aware of that. Sometimes they don’t quite know how to enter into the game. We old-timers are good because we’ve survived a lot of stuff. BD: Guidance from Grandpa will be a great, great help to all of us. OL: Well, we try, you know. BD: Thank you for spending this time with me today. OL: Well, it’s great to talk with you, and we’ll keep in touch. BD: Very good. I look forward to it very much! memorial concert are underway. He is survived by his wife, Catherine. 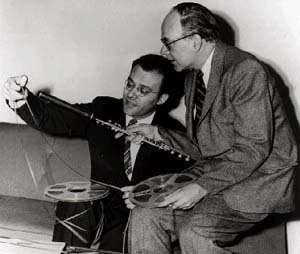 Mayer, Harvey Sollberger and Charles Wuorinen. Composers Orchestra and as an advisor to The Rockefeller Foundation. This interview was recorded on the telephone on July 20, 1985. Portions were used on WNIB (along with musical examples) on six occasions between 1986 and 2000. 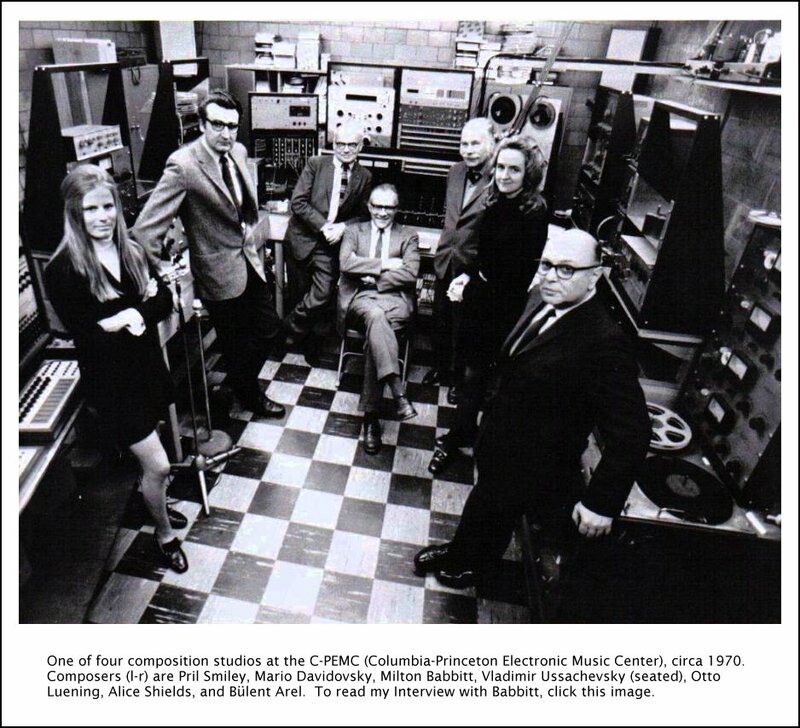 A copy of the unedited interview was given to the Archive of Contemporary Music at Northwestern University. The transcription was made in 2008 and posted on this website in December of that year.